HLHS (hypoplastic left heart syndrome) is a heart defect that affects 1,000+ newborns each year in the United States, in which the left side of the heart is severely underdeveloped, and the right side of the heart must pump blood to both the lungs and the body. The only treatment for HLHS is aggressive, early intervention. The most common approach involves a three-stage surgical procedure. The operations are performed within the first few years of life and create reliable blood flow in and out of the functional heart chambers. The vital signs of these infants need to be constantly monitored (heart rate, blood oxygen saturation, food intake, etc.) as any significant change could lead to an emergency situation or worse. There is not enough data for researchers to understand the triggers and causes of this condition or for emergency episodes. 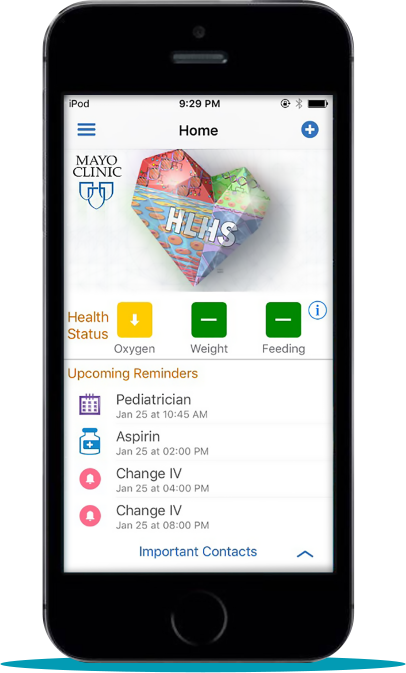 Working in partnership with the renowned Mayo Clinic, Customer Analytics developed a mobile application for use by caregivers for real-time monitoring of vital statistics of babies with HLHS. This application also provided instantaneous alerts to the caregivers and healthcare team when conditions suggest potential emergency situations. The mobile app is coupled with a web application that allows physicians and nursing staff to remotely see vital statistics and health status in real time, in one dashboard. A multidimensional “Researcher” view was also developed for researchers to view data, alerts and other information across patients. Parents can now feel more confident taking their infants home to care for on their own in between surgeries. 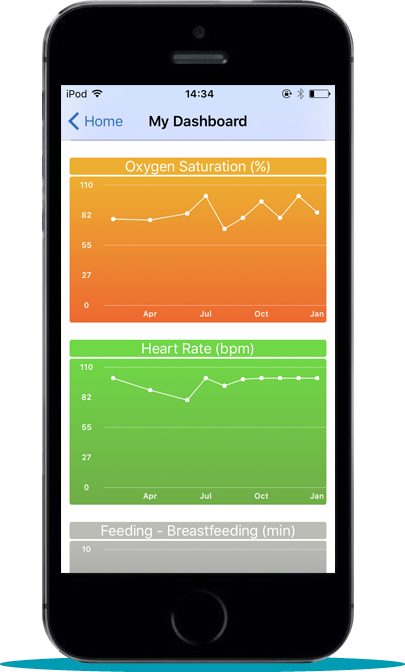 Doctors can keep a constant eye on the health status of the babies and track their stats over time. And researchers can analyze data from HLHS patients. A free version of this app , HLHS Health Journal is available in the Apple App Store.